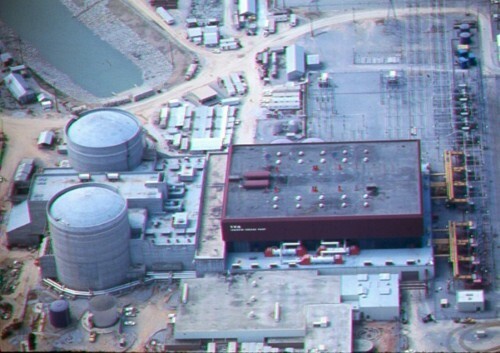 A storm on July 11, 1994, dumped about an inch of rain on the Sequoyah nuclear plant site (Figure 1) near Chattanooga, Tennessee in about 15 minutes. The deluge exceeded the ability of the drainage system to carrying off the rainwater. Consequently, the grounds outside the turbine building flooded. Some of the flood waters ventured inside the turbine building. The water submerged the lower two inches of the 6.9 kilovolt alternating current (ac) power supply boards. It also poured through holes in the floor to douse the 250 volt direct current (dc) distribution board and one of the 480 volt ac distribution panels located in the basement. Luckily, the flood water wet but did not short out this electrical equipment.A lighter rainfall 5 years later, on June 30, 1999, dumped about two-thirds of an inch of rain on Sequoyah in about 15 minutes. This time, the resulting flood only covered the lower inch of the 6.9 kilovolt ac power supply boards. The 250 volt dc distribution board and one of the 480 volt ac distribution panels in the basement received another shower. Once again, luck prevented the wet electrical equipment from shorting out. The NRC looked into this matter after the second flood. They determined that the ground around the turbine building was improperly graded because it carried water toward instead of away from the turbine building. TVA took steps to correct the problem. In these cases, luck played too large a role in the outcome. Had the rainfall lasted longer than 15 minutes (perhaps not the 30 days and nights that Noah experienced, but longer than 15 minutes), the improper grading could have submerged equipment at Sequoyah with more dire consequences. The recent disaster at Fukushima Dai-Ichi vividly demonstrated what can happen when luck runs out. The nuclear industry and its erstwhile regulator cannot continue to downplay lessons from events like the July 1994 flooding incident at Sequoyah and postpone fixes until lightning strikes twice. The design flaws, equipment malfunctions, and worker performance issues identified by these precursor events have to be corrected expeditiously if skill is to be a larger factor than luck in protecting public health and safety.